Fans of small-town, nature-filled living should be more than happy to invest in a Santo Tirso property. This city gives the name to its municipality, located in the district of Porto. It’s centered between Braga, Guimarães, Póvoa do Varzim, Vila do Conde and Porto. There are only 107 people living in the city, as of 2011. In the municipality, there are 71.500 inhabitants, spread across 14 parishes. There’s no reason not to fall in love with Santo Tirso. It’s an industrialized city that focuses on the manufacturing of textiles and plastics. While it is less centered on the tertiary sector, it has a booming economy. There are around 5.700 companies based there. This reflects in the Santo Tirso real estate market that has been developing more and more in recent years. International investors and second-home buyers have been moving here. As demand increases, you can find more Santo Tirso villas and Santo Tirso homes for sale. The industry-centered economy is definitely attractive to those looking to invest in the textile and plastic niche. But Santo Tirso is also an idea place for those who love nature and like to be in the countryside. Even people who don’t want to let go of the city living can find their dream home here. The city is so close to Porto and to other major cities that you won’t miss out on any of the cosmopolitan action! Investing in Santo Tirso has a lot of benefits for international second-home buyers. There are nation-wide programs that make living in Santo Tirso even more appealing to them. The non-habitual resident program (NHR) has attracted EU nationals, such as Germans, Belgians, British, and Swedish investors. The Golden Visa appeals to buyers that are from outside of Europe. Both the NHR and the Golden Visa give home buyers tax breaks. On top of that, the city of Santo Tirso also has its own set of programs benefiting international investors. As an international buyer, you might be exempt from taxes or have to pay lower taxes. This applies to cars, Santo Tirso property prices, and to companies based in the municipality. There are also other programs that encourage people to invest in textile and clothing industrial plants. As you can see, a Santo Tirso property is nothing short of an investing haven! All these investing opportunities are bringing more second-home potential buyers to the municipality. The Santo Tirso property prices are still low when compared to some of the neighboring municipalities. If you’re looking at Santo Tirso houses for sale, you should expect to pay around Average price per sqm. in Santo Tirso €931 -1% properties#: 438 last change on: 19 Apr 2019 €931 per sq. meter. If it’s an apartment you’re after, Average price per sqm. in Santo Tirso €1,270 33% properties#: 100 last change on: 19 Apr 2019 €1,270 per sq. meter will be around the average asking price. Lastly, if you’re looking for investments, you should expect to pay Average price per sqm. in Santo Tirso €916 2% properties#: 118 last change on: 19 Apr 2019 €916 per sq. meter. The top agency in Santo Tirso is ERA, with more than 180 listings. Trailing just behind are RE/MAX, Keller Williams, and Century 21. The quality of life in Santo Tirso is really good. After all, entire families live here for generations on end! It’s a city and municipality full of history, which is reflected in some of the churches. 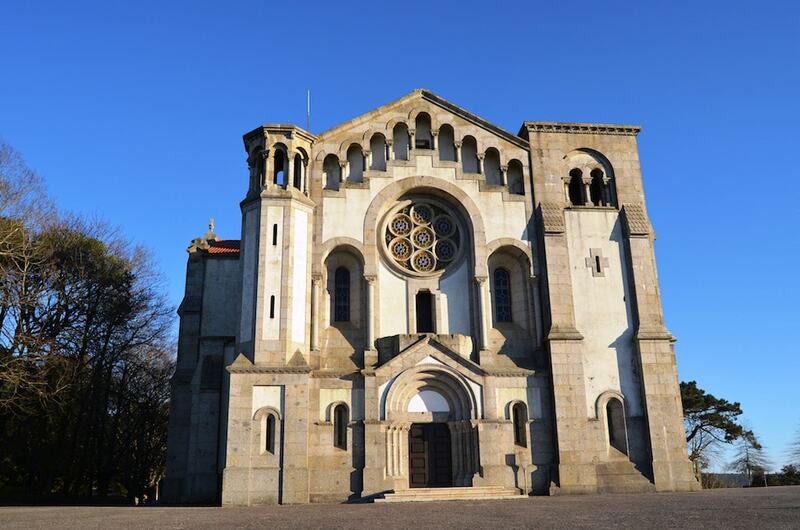 The Mosteiro de Santo Tirso for example, started to be built in the 10th century. The population is mostly made up of adults and older people, giving it a more peaceful ambient when compared to Porto. Nature and small-town living meet in Santo Tirso. The municipality has a bigger and more active city and more than ten parishes that have big family homes and have less inhabitants. That’s the place to go to if you want to enjoy the fresh air of the north of Portugal. You’ll see thick, dense, green forests, as well as public parks beautifully designed by architects. If you want some of the cultural diversity that big cities give you, don’t worry. Porto, the second biggest city in Portugal, is only 20 km away. After a short and easy thirty-minute car ride, you’re right in the center of bustling Porto. You could even take the train (the “Linha de Guimarães”) and be there in the same amount of time! Being so close to Porto and to other big cities means that you’ll have plenty of things to do. If you like fine dining, you’re in luck. Porto has dozens of award-winning high-quality restaurants. It also means that designer stores and high-end malls are only less than an hour away by car. You can even go to picturesque beaches and well-renowned golf courses! There are a lot of great schools in Santo Tirso. The ones that stand out the most are the private ones. They offer a religious education joined coupled with a focus on sports and innovative teaching techniques. You have Colégio de Lourdes and the Colégio Santa Teresa de Jesus here. They’ve both been placed high on the nation-wide annual studies that are done, with their students usually ranking higher than in other schools. You can send your children here and be assured that they will receive a great education. They are open to pupils from pre-schooling age all the way up to high-school seniors. If you need to go to the hospital, there are two in Santo Tirso. You can go there for routine check-ups or emergencies. They’re open twenty-four hours per day and are only a short car ride away. The Francisco de Sá Carneiro, also known as the Porto International Airport, is easy to reach. You can get from there to Santo Tirso in under thirty minutes by car. Alternatively, you could also catch the train and be in the city in under two hours. Santo Tirso is an up-and-coming area of the country. Its proximity to Porto give inhabitants the city lifestyle. At the same time, Santo Tirso is a very quiet and relaxed place to live in. This is a city with attractive fiscal incentives for international buyers. It’s an opportunity you can’t pass up.